Sharing Our Notebooks: Amy LV - "Catching Up with Old Me"
Amy LV - "Catching Up with Old Me"
Over the years, I've kept all different kinds of paper notebooks: small, big, lined, unlined, fancy, plain, spiral, hardbound. No matter the style, my notebook gets messy pretty quickly. Peeking between the covers, you can find book recommendations, lists of favorite words, small sketches, bits of my childhood, and memory-snatches that I want to keep forever. Sometimes there's a recipe tucked in between the pages, or a photograph, or a birthday card, or a magical fall leaf. Most of my notebooks are written in black ink because I once saw a friend (Jacqui Getz) do that, and I liked how it looked. And I always keep the first page of new notebook blank until I find the perfect quote for this important spot. Sometimes I find one quote, sometimes many, but the words at the front of each new book center me and give me courage and strength. Many of my recent notebook entries are poem ideas and starts and snips of poems. Around and around I go, like a dog trying to settle into a nap, trying to choose how to begin a new piece. Columns of rhyming words and possible poem-lines march along the margins mixed in with all sorts of notes and jottings. When I don't have a notebook but do have an idea, I almost feel naked! At times like this, I look around for scraps of any kind of paper and will sometimes even write on my hands. For me, a notebook is a way to hug my life the same way I hug stuffed animals, pets, and people. It's a place where I can whisper my personal thoughts, and it's a place to make sense of things I don't yet understand. Sometimes I make difficult decisions through writing about my questions and concerns. Rereading old notebooks is like catching up with old friends, but it's really catching up with old me. Each of my notebooks is a mirror of my brain during a certain life-chapter. I read once that when you give love away, you just get more and more love. And for me, writing is the same way. The more often I write in my notebook, the easier it is, and the more it feels like play! 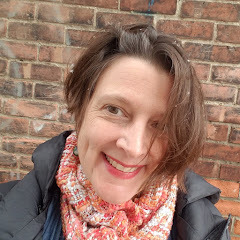 Having earned her MA at Teachers College, Columbia University and studied at The Teachers College Reading and Writing Project many years ago, Amy now travels and teaches children and teachers about writing process and style. 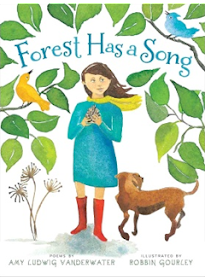 Amy writes a quarterly column for EDIBLE BUFFALO magazine, her poems for children appear in numerous anthologies, and her first poetry book, FOREST HAS A SONG, will be illustrated by Robbin Gourley and published by Clarion in the fall of 2012. You can find Amy at the whimsical Heart Rock Farm with her husband Mark, three children Hope, Georgia, and Henry, and animals too many to count. 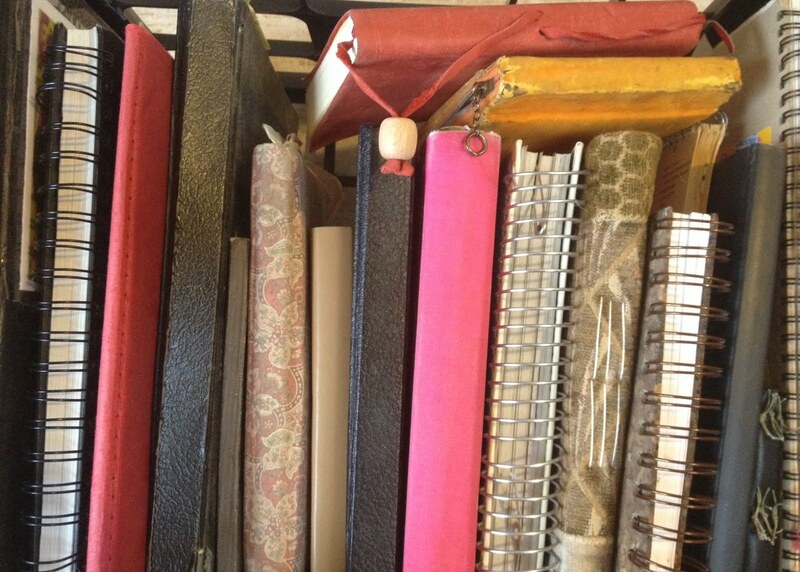 She blogs at The Poem Farm and here at Sharing Our Notebooks. Oh my gosh! I love this! Can't wait to share it with kids tomorrow! Yeah, more good stuff from Amy LV! I love, love, love the look! I can't wait to follow you! I cannot wait to share your blog, ideas and words of encouragement with my students. 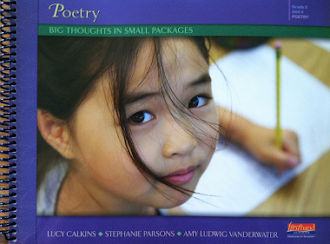 They loved your work during your poem-a-day challenge on "The Poem Farm," so this reading and writing adventure will be a happy addition to our reading and writing lives! How lucky I am to know such supportive and welcoming friends and teachers! ('Can't tell you how nervous I was when I hit "Post" last night!) Please know that I welcome notebook pages and bits from students and also ideas for links and other resources which will support all notebook keepers. My hope is that this space will host all kinds of notebooks, from artists to writers, inventors to chefs, young to old...all! I'm very excited to learn and share together and can't to see what we find out along the way. A.
Wow, Amy, Wow. I'm so excited to follow you here, in this new "writer's notebook" of sorts -- a writer's notebook of writers' notebooks. "Catching up with old me..." as always you have just the right words to capture the feelings. Great idea Amy. Thanks for pulling back the curtain and sharing the innerworkings of writing. I am so happy to have you here! And very excited to peek into these notebooks. Please please do consider inviting your students and friends! A.